GRADE 4 – Blanding’s Are Here! 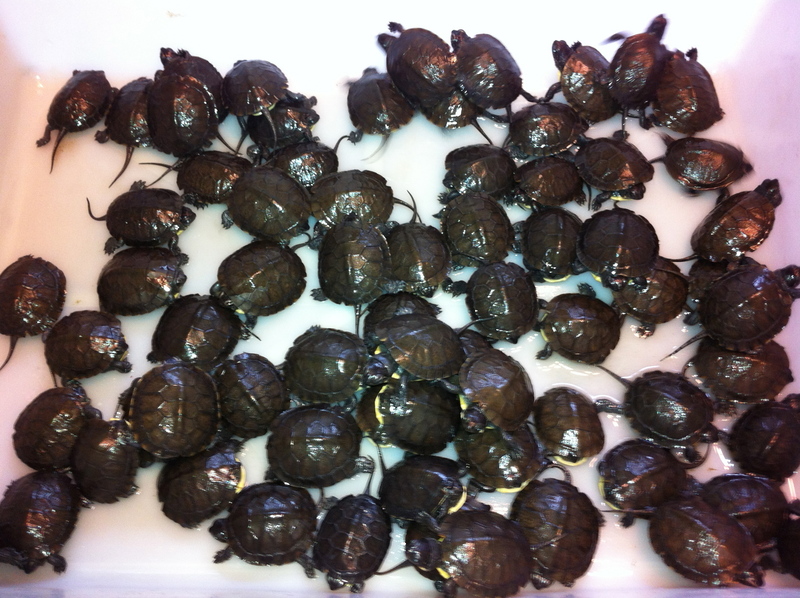 Another year and another batch of Blanding’s hatchlings for our local head-start project. Our local biologist, Dr. Bryan Windmiller has visited all the 4th grade classrooms to introduce the hatchlings and the Headstart project to the students. 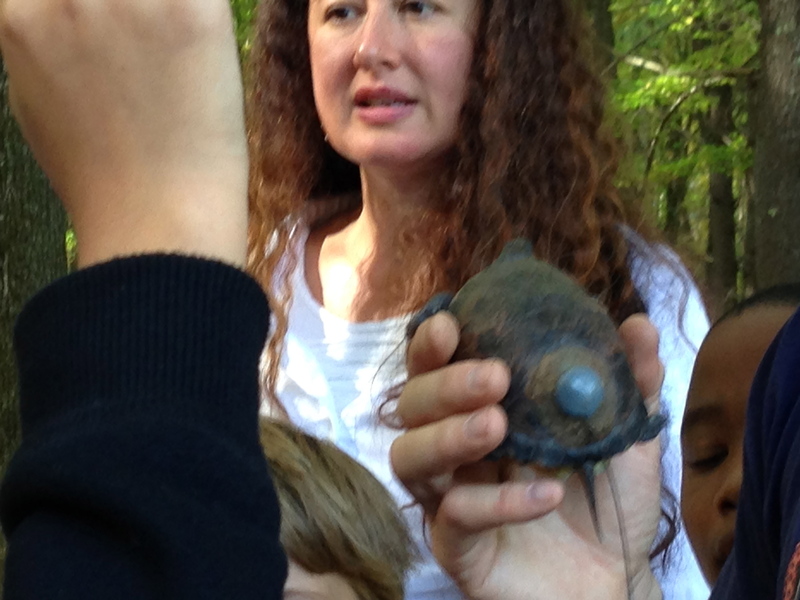 Classes are now in the process of meeting Dr. Windmiller in the field to learn about the Blanding’s habitat. Due to the federal government shut down our yearly trip to Great Meadows National Wildlife Reserve had to be changed to Punkatasset Conservation Area- one of Concord’s best kept secrets. 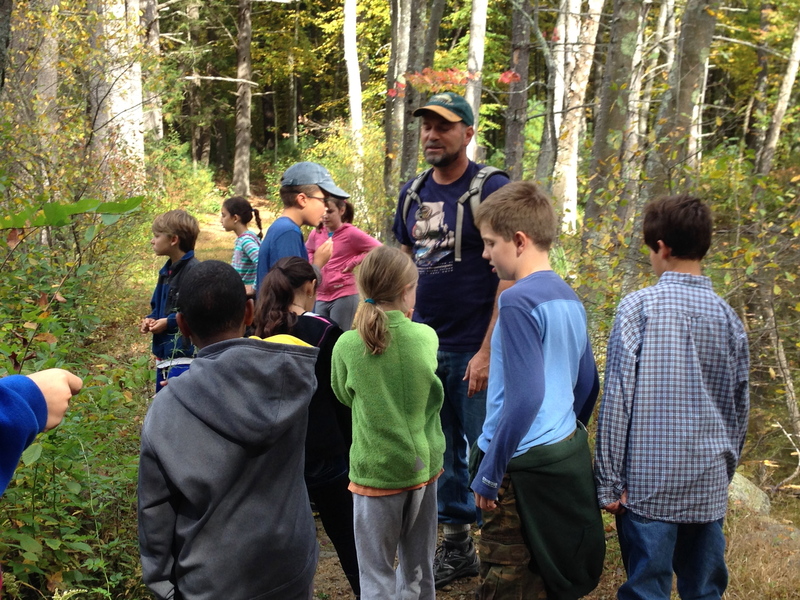 Dr. Windmiller led students on a guided walk through the woods that Thoreau had often visited before the beavers and houses settled in. 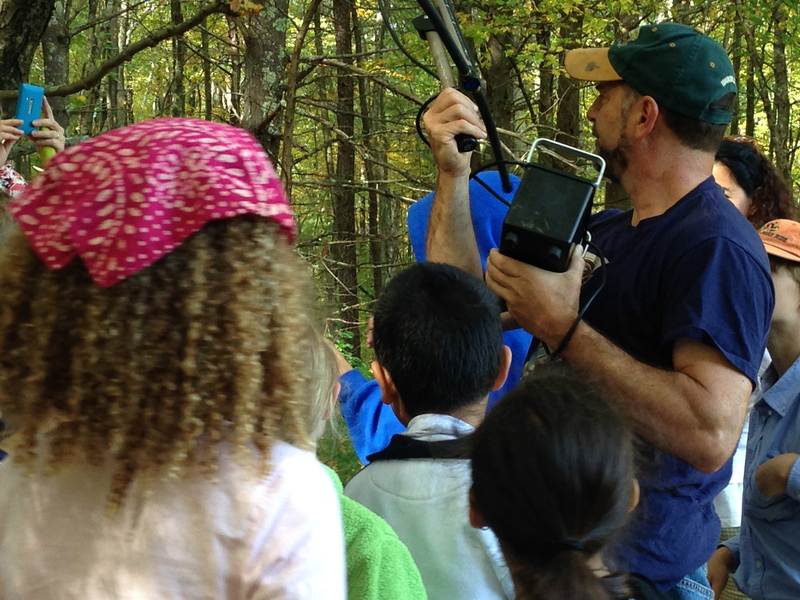 During the walk Dr. Windmiller introduced students to the equipment he uses to track the turtles, which he hopes to relocate in this beautiful wooded area. 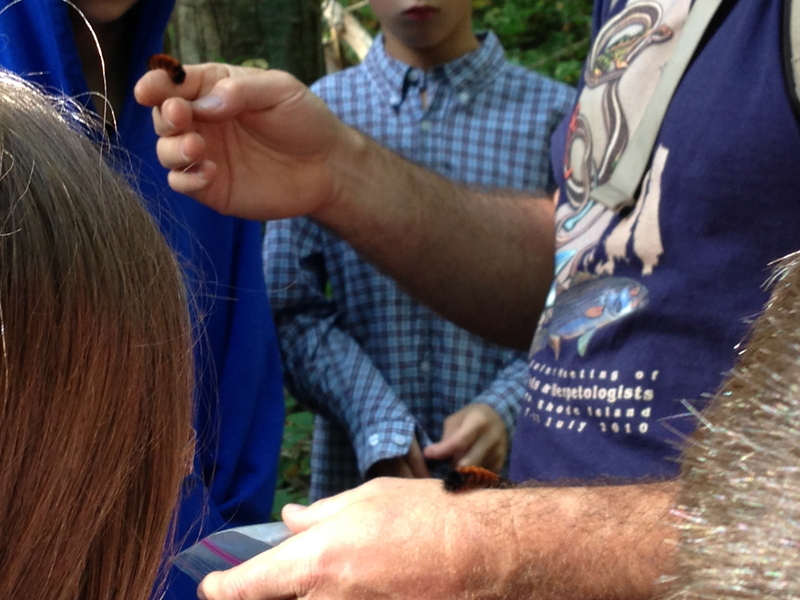 Beside investigating the turtle habitat, students were also introduced to winter berries, woolybear caterpillars, Great Blue Herons, frogs, snakes, salamanders, beaver dams and a beaver lodge. 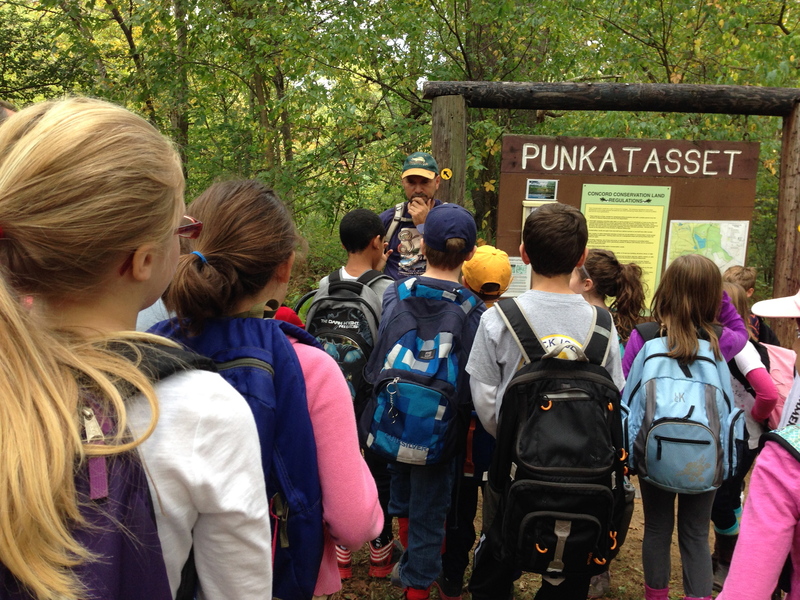 So far a few classes experienced a few drops of rain but all in all we all agreed that a visit to Punkatasset Conservation Area is a must do for any nature enthusiast! Second grade students in Mrs. Martin’s class become BudBurst Buddies as they participate in Project BudBurst. 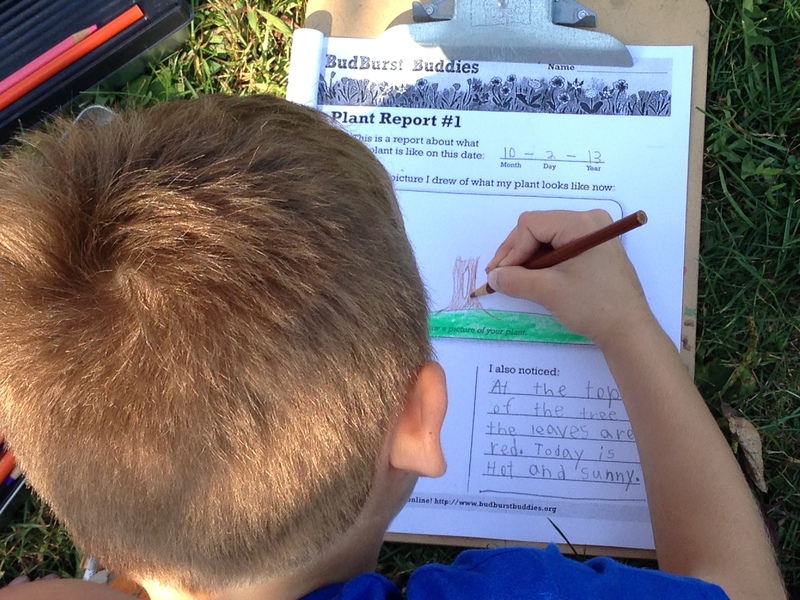 Project BudBurst is made up of a network of people across the United States who monitor plants as the seasons change. Mrs. Martin’s class will observe, record, and report their observations on a national database. The students will be monitoring a beautiful Red Maple that is located feet from their classroom. 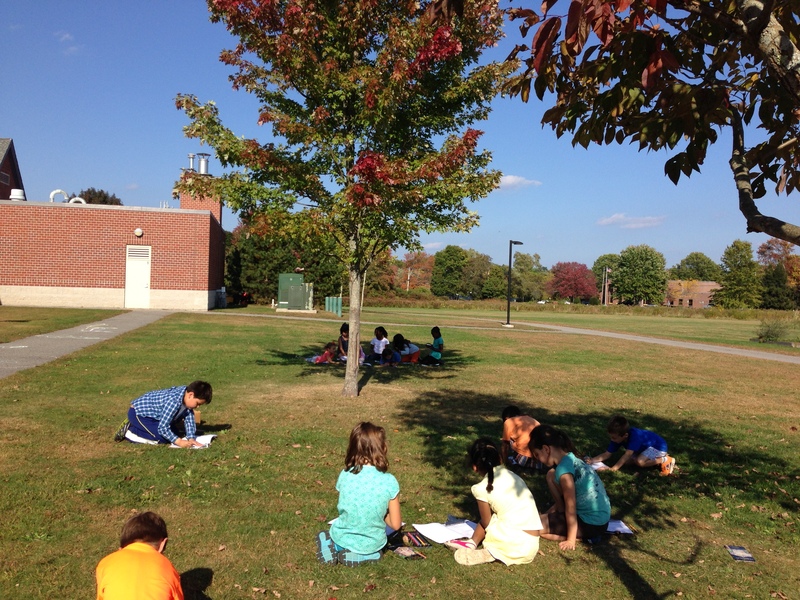 The proximity of this plant allows students to make observations all times of the year regardless of weather. Fifth grade students in Mrs. Hoyt’s class are tracking Great White Sharks that have been tagged off of Cape Cod this past summer. The students are using the Global Shark Tracker developed by OCEARCH to see where the sharks have been and where they are going. OCEARCH facilitates unprecedented research by supporting leading researchers and institutions seeking to attain groundbreaking data on the biology and health of sharks, in conjunction with basic research on shark life history and migration. As students follow the Great Whites they are also learning about the natural history of sharks and their relatives found along the New England coastline. 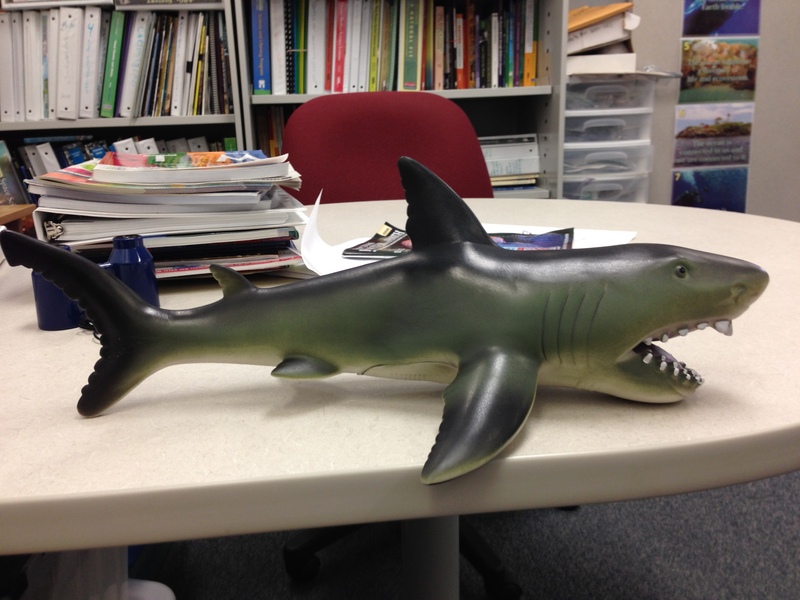 “Follow That Shark” keeps the students updated on the whereabouts of the sharks and researchers as well.